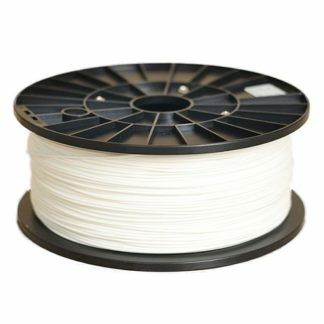 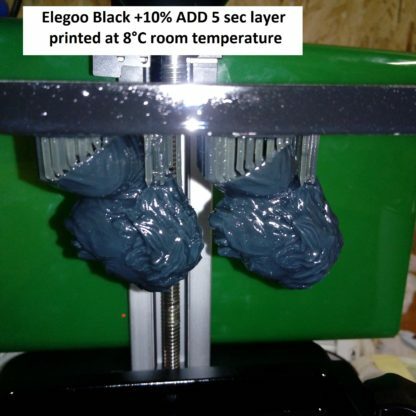 When used, can be reduce time layer curing and print resin at cold rooms temepratures. 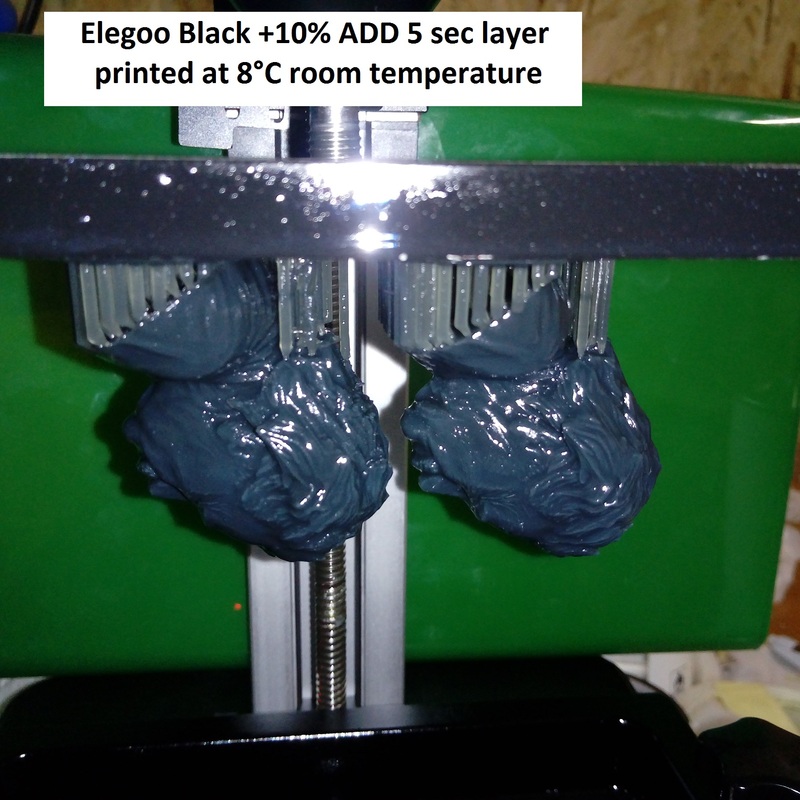 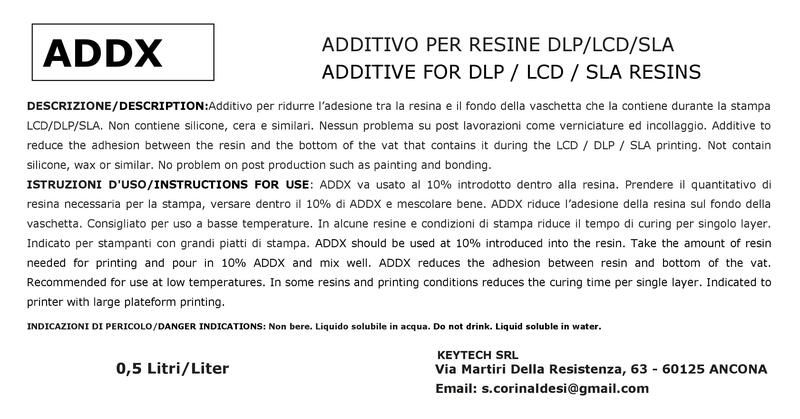 This additive reduce sticky between resin and fep sheet. 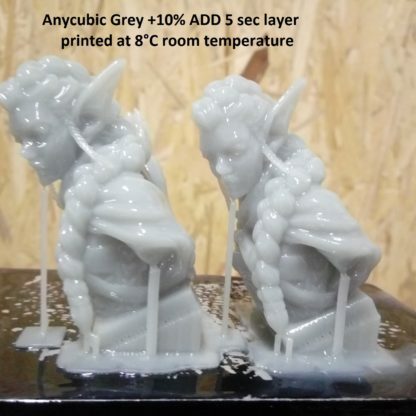 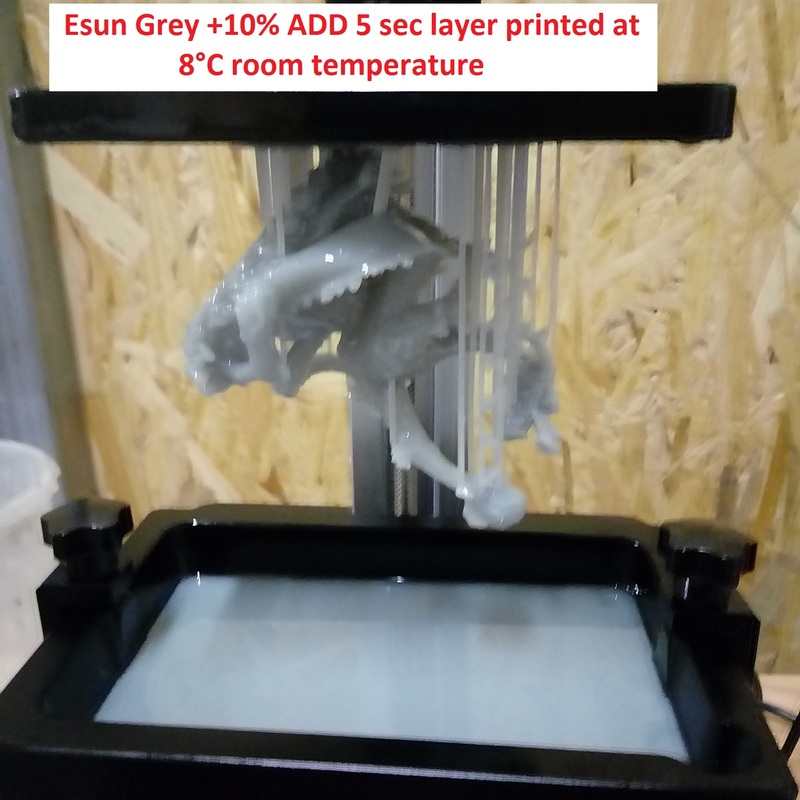 Already tested with Esun, Monocure, Elegoo and Anycubic resins. 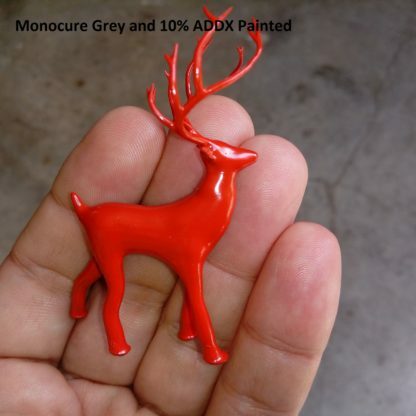 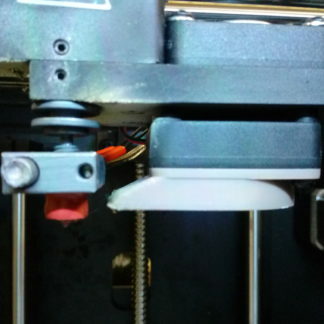 ADDX hasn’t silicone and wax ingredients, never problem to painting parts printed after post uv curing. 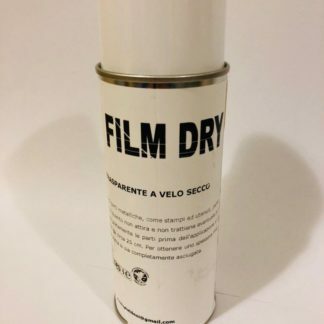 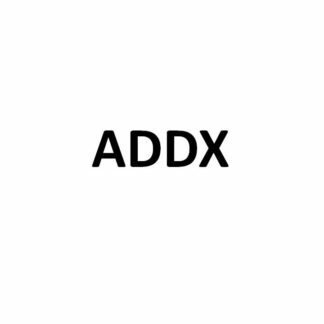 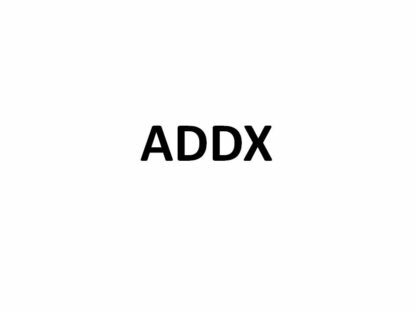 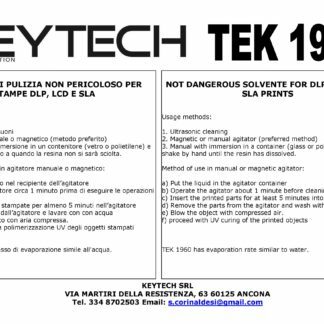 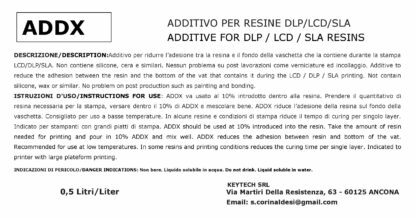 You're viewing: ADDX anti sticky additive for DLP/LCD/SLA resins-500ml 22,88€ 22% Iva inc.